It's been a long time coming—the whole season, in fact. The Red Sox scored double-digit runs for the first time in 2017 yesterday, routing the Twinkies, 11-1. And, it wasn't offensive language, it was actually placing the bat on the ball with authority. Leading the way was part-time LF Chris Young, who blasted two solo HRs. 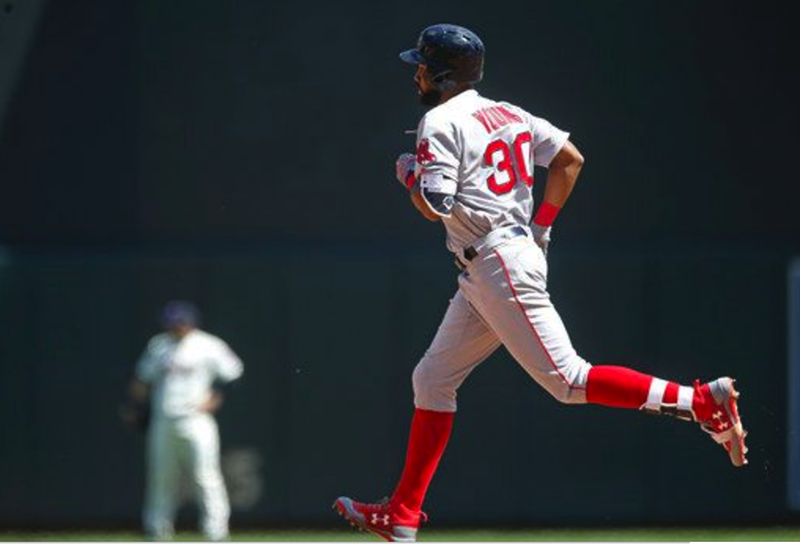 Both Xander Bogaerts and Andrew Benintendi (hitting third and fourth in the order) got three hits apiece—and even Sandy Leon got three base knocks (including a solo HR). Dustin Pedroia's three-run double in the second inning (after a costly Twin error) opened the floodgates. Boston logged sixteen total hits in support of Rick Porcello—who looked like the 2016 Cy Young winner. 'Pretty Ricky' went seven solid innings, giving up just one earned run on seven hits—while striking out six and walking none. He lowered his ERA to 3.95. This kind of win was clearly needed—badly!